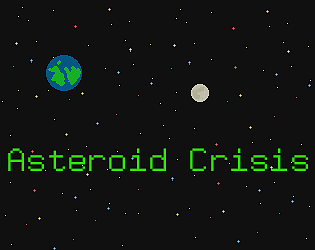 Build a rocket that can reach the asteroid and destroy it. If you launch it too early, or too late, you will lose. I like these kinds of games, but I really didnt know what to do. nothing was clear to me. so please if you manage to finish the whole thing, inform me. I would like to try it once more. the art of the game is really good and i think it would be really fun to play but i couldn't win or do anything " i didn't understand it"